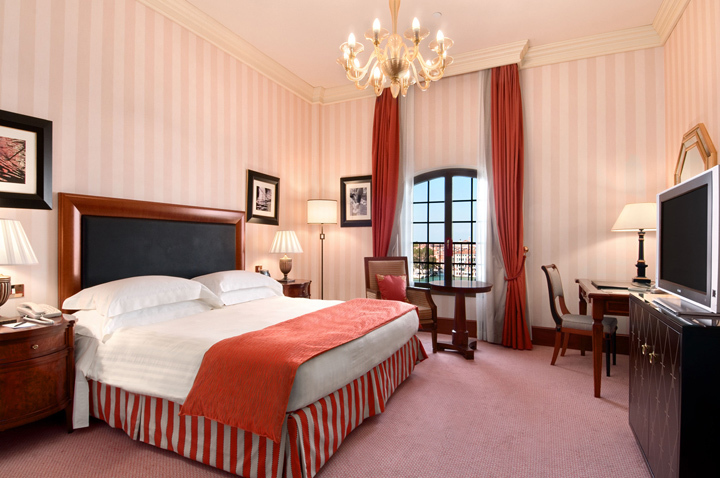 We will soak up the views of the Giudecca Island and Canal from our King Deluxe Room with a View. This traditional 322 square foot room has a king size bed, a 40-inch plasma television, high speed internet access, large desk, and a luxurious marble bathroom to pamper ourselves after a long day of exploration. With special touches that include branded personal care products, this room provides us with everything we need to make our stay comfortable and carefree! We will take in the views of Venice in our 645 square foot King Executive Suite with a separate living room, a dining room and Executive Lounge access. This Venetian-style suite has a king size bed and offers splendid lagoon views. Complete with a desk, WiFi internet access, sofa, on-demand movies on the 40-inch Plasma TV, and deluxe bathroom, this suite will make our honeymoon unforgettable! We will take in the views of Venice from our 753 square foot King Tower Suite located in the original mill tower and with Executive Lounge access. The spacious suite has an extra large king size bed and a separate living room. Here, we will catch up with work at the desk or keep in touch with Wi-Fi access. After a long day in the Venetian sun, we will stretch out on the sofa and stay entertained with on-demand movies on the 40-inch plasma TV. 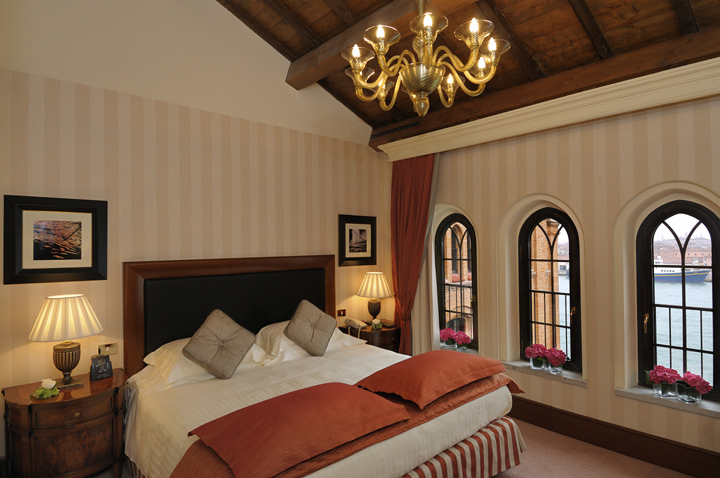 With a panoramic view of Venice, this is the most romantic suite for our honeymoon! The biggest most exclusive and spacious two-level suite features a second bedroom, a second bathroom, a kitchen, and a separate living room with fine furnishings. This top floor suite with Executive Lounge access offers Venice and Lagoon views from the large windows. Entering this room for the first time is an experience you will never forget. The private elevator opens up onto a wide parquet corridor leading to a master bedroom and a twin-bedded room, each with its own walk-in wardrobe, a marbled bathroom and breathtaking views. The second level hosts your personal Fitness & Wellness room with a staircase leading to the panoramic tower. Special services and amenities include access to the Executive Lounge, a large plasma TV set, Wi-Fi access, private elevator, private access to the tower, a personalized amenity set, fitness room, hydro-pool, your own dining/meeting room, guest bathroom and two bedrooms with walk-in wardrobes. 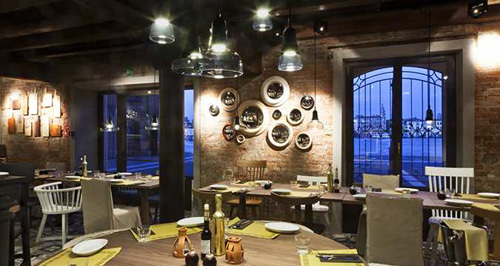 At Bacaromi Restaurant, we will experience Venetian dishes, from local ‘cicchetti’ to fine Italian wines in an informal atmosphere. We will enjoy spectacular views of the Giudecca Canal on the Bacaromi terrace and watch the beautiful sunset as we dine on delectable foods! The Rialto Lobby Bar and Lounge is the perfect meeting place to indulge in cocktails, coffee and snacks, or to have a relaxing lunch or dinner. We will savor a variety of delicious Italian and international dishes at any time during the day while sipping on delicious drinks. On our honeymoon, we will be mesmerized by incredible views of the Venice Skyline, from Canale Giudecca to Piazza San Marco while sitting in this stylish 8th floor Venetian bar. We will spoil ourselves with an elegant cocktail, a pre-dinner aperitif or a delicious light snack in the most romantic and exclusive venue of the Hilton Molino Stucky Venice hotel. This is the perfect place to toast to our new lives together in blissful elegance! 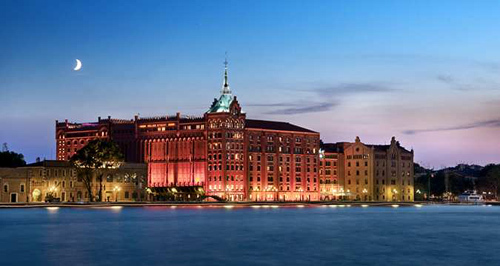 With your generous gift, we will enjoy a romantic and cultural honeymoon at the Hilton Molino Stucky Venice in Venice, Italy! We will taste the freshest seasonal ingredients at the hotel’s restaurant Bacaromi and enjoy al fresco dining on the canal-side terrace on the summer months. 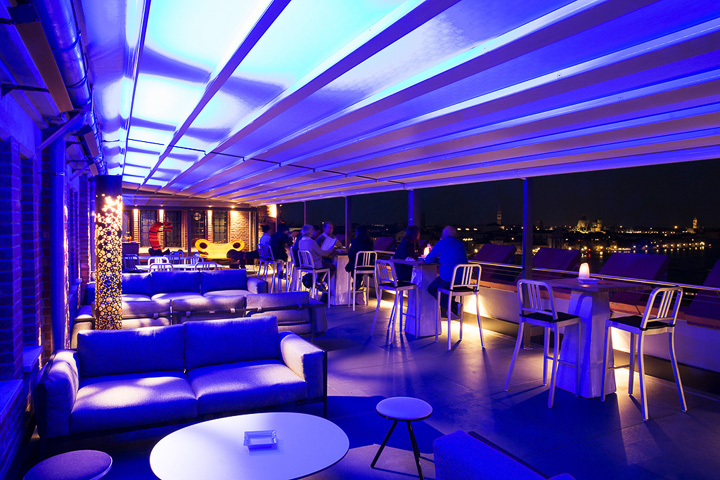 At night, we will sip on cocktails and admire Venice’s stunning sweeping vistas from the stylish Skyline Rooftop Bar. This hotel in Venice, once a flourishing flourmill, beautifully restored, it now houses a hotel unlike any other, offering a different view of Venice. A short, five-minute boat ride from the heart of Venice it offers breathtaking views over the city and complimentary shuttle service. 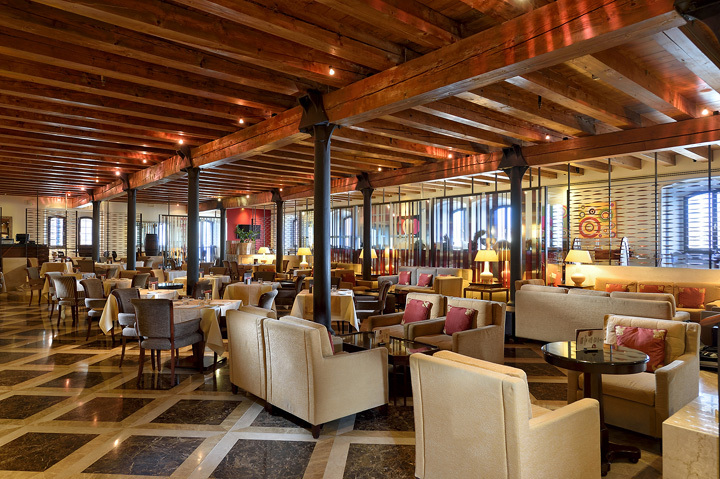 On our honeymoon, we will explore Venice from the Hilton Molino Stucky Venice hotel, a historical, neo-gothic building on Guidecca Island, once and home to a grand flourmill in 1895. There, we will visit Venice attractions, just five minutes from the hotel via complimentary shuttle boat service to St. Mark's Square. Our comfortable guest room features timber beam ceilings, a marble bathroom and plush Venetian fabrics. We will indulge in delicious cuisine at one of on-site bars and restaurants. Sipping on fine wine and admire Venice’s spectacular sweeping vistas at the stylish rooftop bar, the Skyline, your thoughtful contribution allows us to experience the very best in Venetian elegance! A chilled bottle of champagne of Ice Imperial Moet & Chandon or Reserve Imperial Moet & Chandon will be delivered to our suite. We will make a toast to our romantic honeymoon in Venice while taking in the sweeping views of the lively Giudecca Canal. How romantic! A bottle of our favorite wine will be delivered to our room or suite. We will make a toast to our honeymoon while taking in the enchanted views of Venice and the canals. We will discover romance at its best! We will make our honeymoon unforgettable and cherish the most romantic and beautiful moments for a lifetime with your generous gift. A professional photographer will capture the moments of our romantic honeymoon in our room, inside the wonderful property or while walking through the most romantic city in the world!